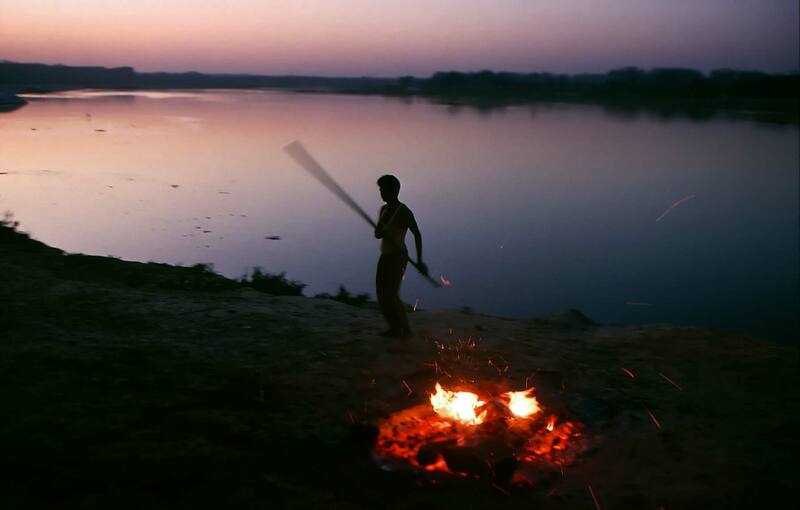 At dusk along the Yamuna River, not far from the Taj Mahal, a Dom tends a burning body on the cremation ghat. After a body has burned for awhile, the Dom uses the stick to break the skull and larger bones to ensure proper burning. "We lay off the cremation-ghat half an hour and saw nine corpses burned. I should not wish to see any more of it, unless I might select the parties..."